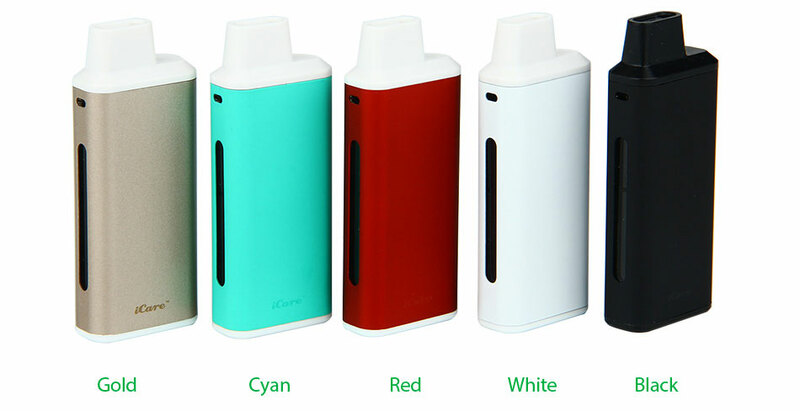 The iCare Mini is a compact e-cigarette starter kit with an internal tank and airflow system. 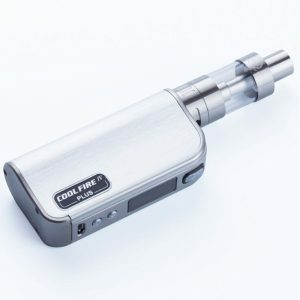 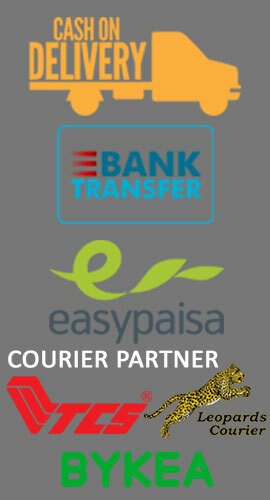 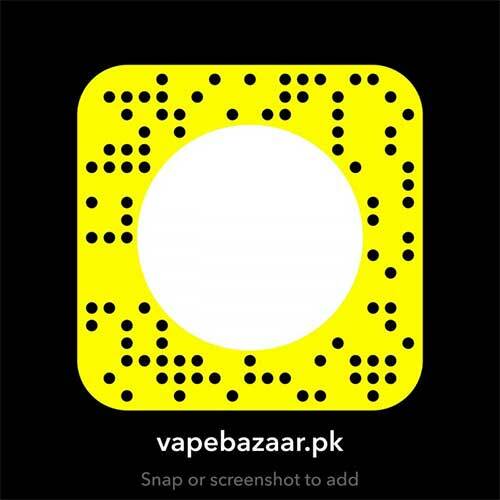 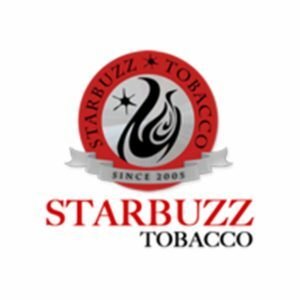 It is quite simple to use for the automatic On/Off feature that initiates when vaping. 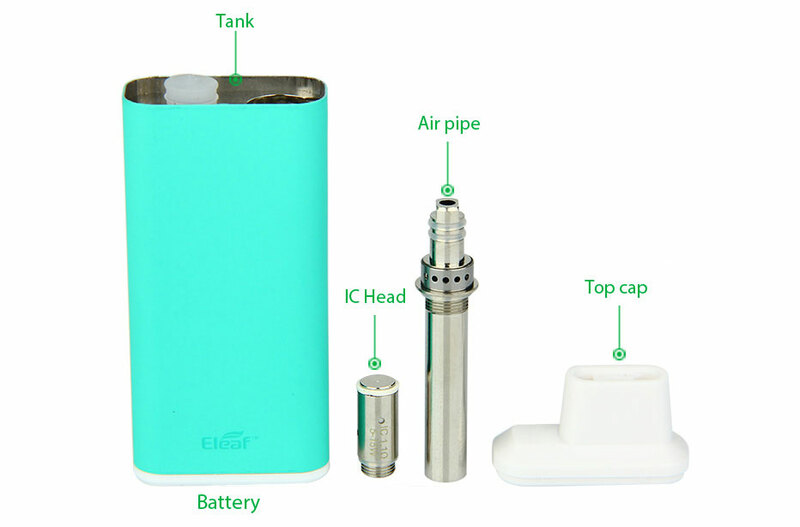 The e-liquid can be refilled into the tank from top with ease. By using a higher strength e-liquid, the iCare perfectly recreates the sensation you are accustomed to. 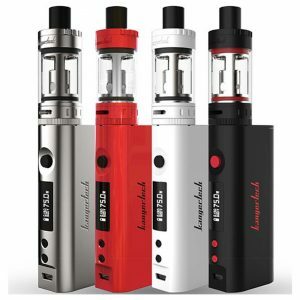 Also with intuitive three color LEDs, you can easily check the battery status by a simple glance at the color of the light. 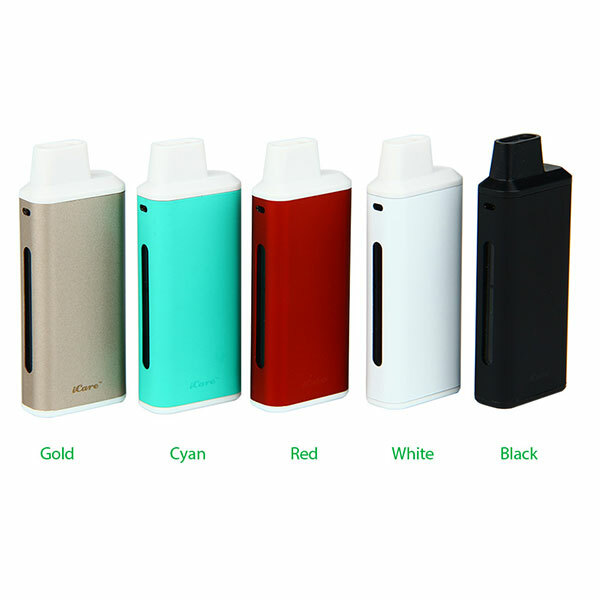 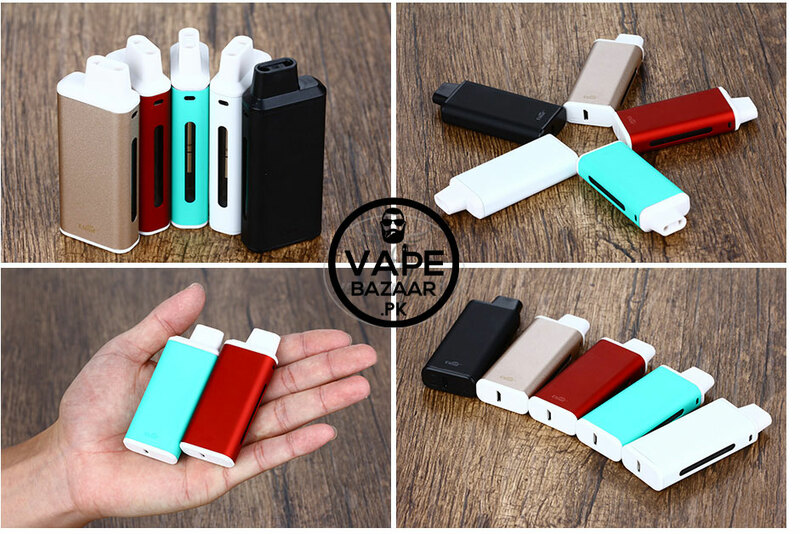 Eleaf iCare Mini Starter Kit is a compact e-cigarette starter kit with an internal tank and airflow system. 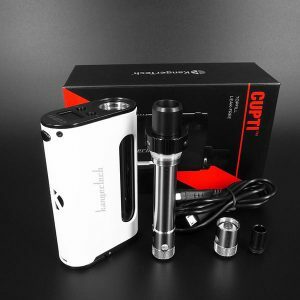 It is quite simple to use for the automatic On/Off feature that initiate when vaping. 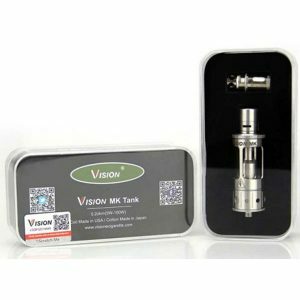 The e-liquid can be refilled into the tank from top with ease. 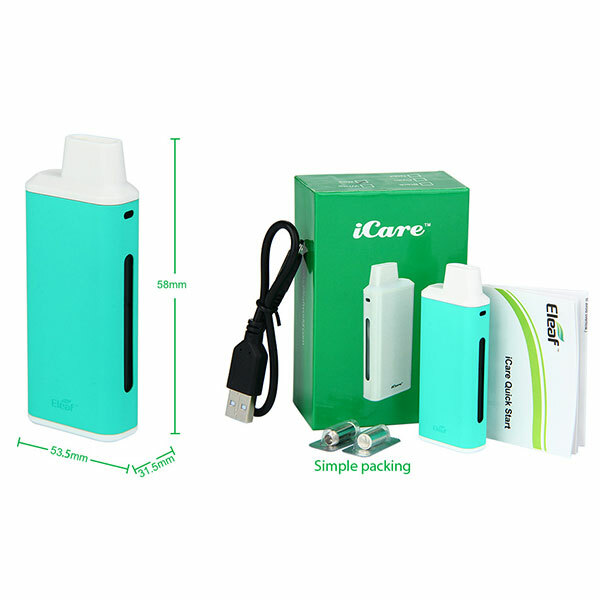 By using a higher strength e-liquid, the iCare perfectly recreated the sansation you are accustomed to. 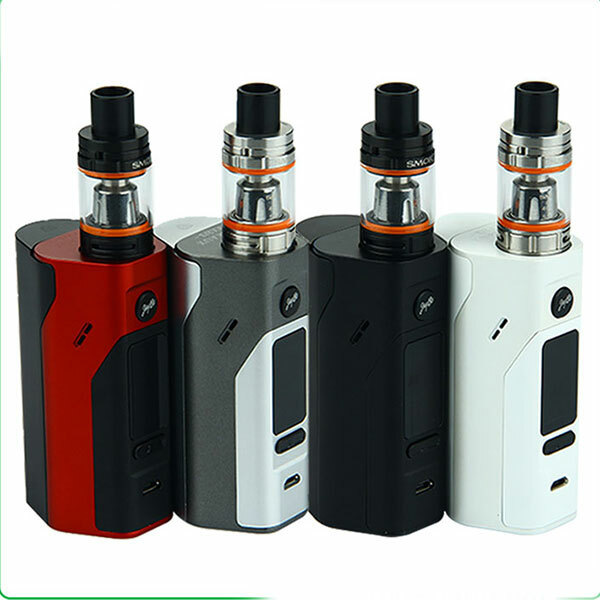 Also with intuitive three color LEDs, you can easily check the battery status by a simple glance at the color of the light. 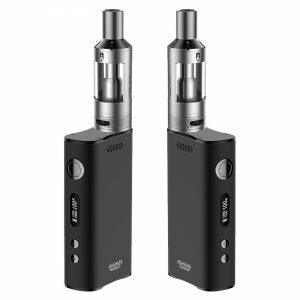 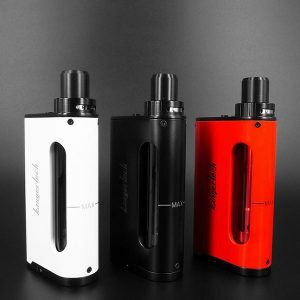 The 650mAh battery supports about 400 puffs vaping. 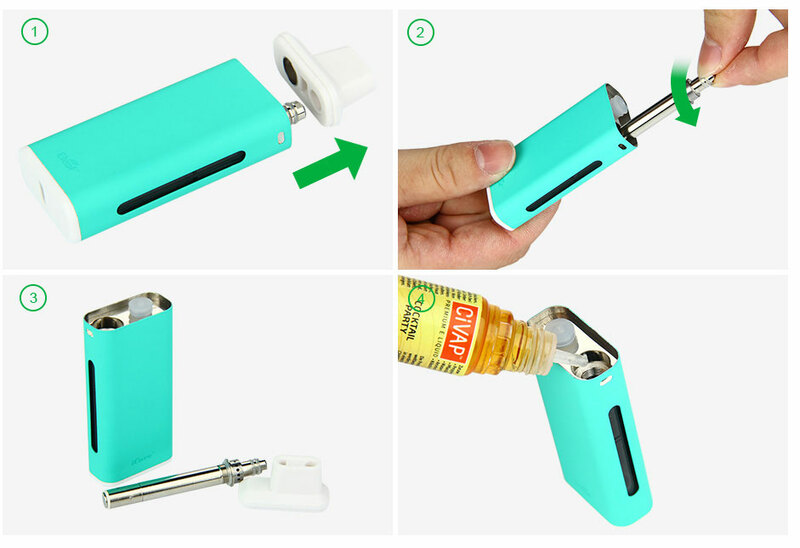 How to fill e-liquid: First remove the top cap; then take out the air pipe out with the help of the rectangular slot on the top cap. 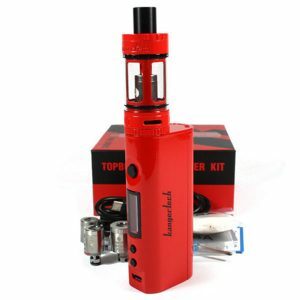 Finally fill the e-liquid slowly into the tank. 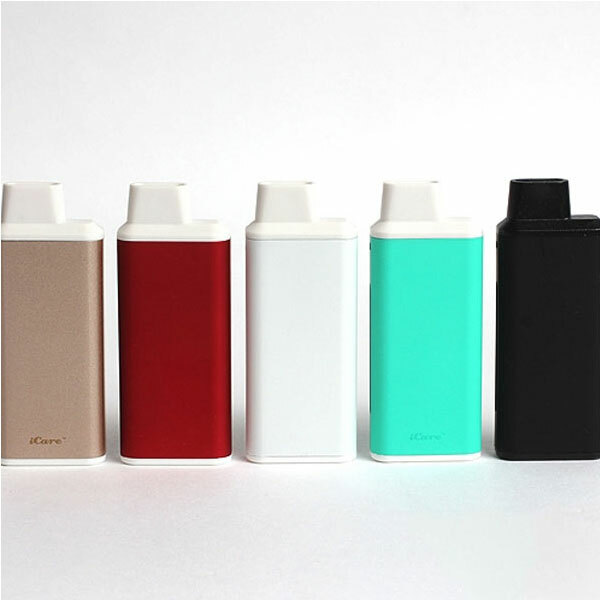 Note: Please don’t fill beyond the Max line to avoid overflow. 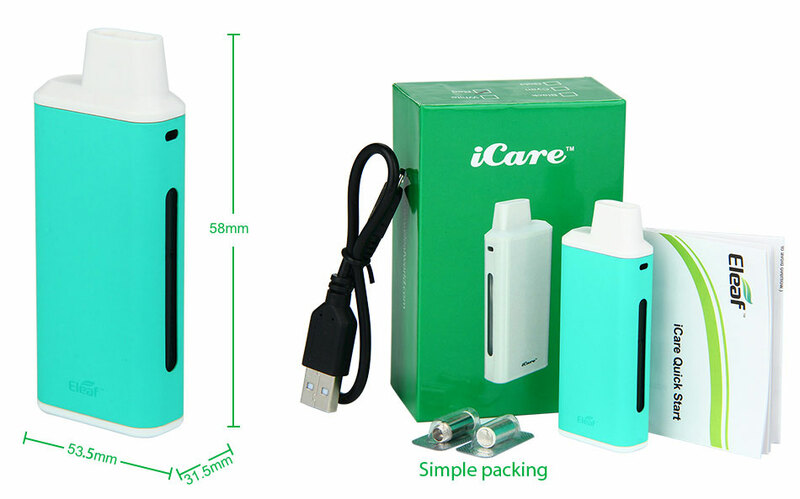 How to charge: The iCare can be charged by connecting it with 1A wall adapter or computer via the USB cable. 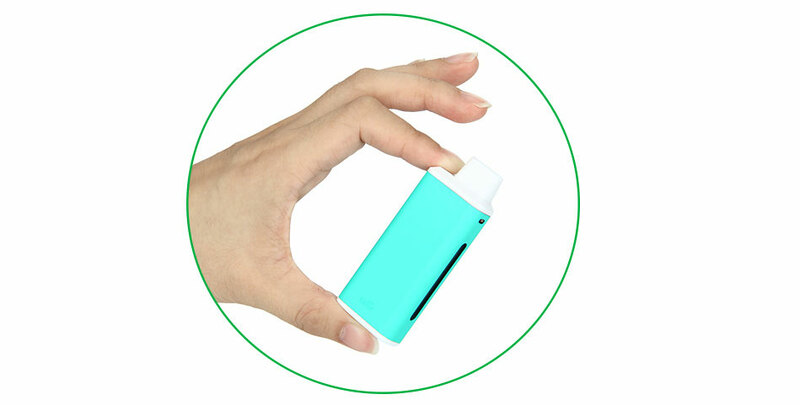 It will take about 1 hour to get a full charge via 1A wall adapter.